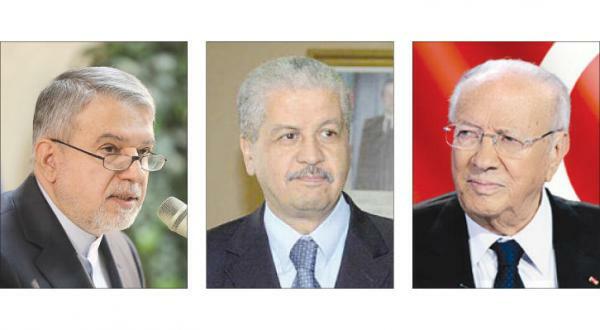 Algeria, Tunisia – Algerian government stated that Iranian media reports have falsely reported the outcomes of a meeting between Prime Minister Abdelmalek Sellal and Iranian Minister of Culture Reza Salehi Amiri. The government denied reports alleging that both Tehran and Algiers agreed to confront extremist ideologies in the region during last week’s meeting. Algerian Foreign Ministry Spokesperson Abdul Aziz bin Ali al-Sharif said that some Iranian media reports regarding the topics discussed between the two men were inaccurate. Sellal expressed Algeria’s hope that Iran would play a positive role in the region and be an element of stability in the Middle East and Gulf area. Sellal stressed that Algeria respects all regions and is keen on maintaining bridges of communication between all faiths. Sharif explained that terrorism was among the matters discussed between the two, adding that the PM reiterated Algeria’s constant attempt to fight this epidemic. Iranian newspaper reported Amiri saying that both Iran and Algeria are seeking the formation of a unified front to confront terrorism. He also mentioned that both governments are considering uniting Iranian and Algerian religious clerics to discuss extremism. Algerian sources close to the matter pointed out that the Algerian Foreign Ministry might have responded that way because of former Algerian statements during the 1990’s accusing Tehran of supporting terrorists. Therefore, it can’t consider Iran a contributor to the fight against terrorism. During an interview with ElKhabar Algerian magazine, Amiri said that he discussed with Algerian officials facing terrorism and extremism through intellectual and scientific collaboration. Tunisian presidency denied Iranian reports that President Essebsi praised Iran’s role in protecting the Islamic world against Israel. Amiri visited Tunisia on Friday to attend an International Book Fair held in the capital Tunis and the fifth edition of the Iranian Film Days. Spokesperson of Tunisian president, Ridha Bouguezzi, told the Tunisian News Agency that the talks covered relations and cooperation between the two countries and focused on the prospects of achieving regional stability following the lifting of international sanctions on Iran. Bouguezzi added that the talks also focused on ways to contribute to the peaceful resolution of conflicts, especially in Syria and Yemen, and on how to confront challenges, particularly the fight against extremism and terrorism.